Power outages are unfortunately a common occurrence. They could be during a snowstorm or hurricane, when a tree knocks down a power line. It can quickly develop into a life-threatening situation—so it's best to have a backup source of electricity. On the lighter side of things, maybe you want to go camping with your car or a recreational vehicle—and you still want to have the use of some electrical appliances. In all these cases, a generator is a wise investment. But there are a lot of factors to consider—size, power, efficiency, and price. Here is a guide to some of the best generators on the market. A generator will take diesel or gasoline to power a motor, which in turn will produce electricity. The number of revolutions per minute (=rpm) of the generator will determine the frequency of the electricity output. 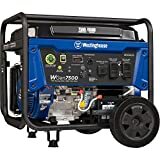 The power of the generator (in watts) will be the most important number when considering what generator to buy: take all the appliances that you want to power, and get a generator that can provide power for all of them. An electric heater will be between 1-3 kilowatts; a refrigerator will be around 1.4 kilowatts, etc. Standby Generators: A standby generator is a stationary object, that you'll hook up in your home or business. These will start operating as soon as there is a power outage. A transfer switch will turn the generator on when there is a loss of electricity from the utility provider, and turn off the generator when utility power returns. 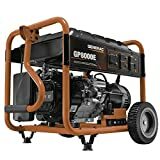 You pre-select which things to power up when you install a stand-by generator. 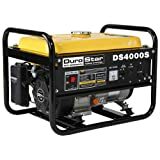 Home Standby Generators: These supply your home with backup power during a power outage, so that your refrigerator, air conditioner/heater and other major appliances will still continue working. Commercial Generators: These are intended to supply backup power during a power outage to a business—they maintain the electrical and computer systems that are vital to the business. They will supply huge amounts of power: up to 60 to 100 kilowatts! 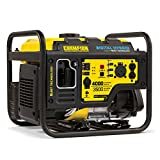 Portable Generators: These are convenient when camping or when you could be in an emergency situation where you need backup electricity, like during a power outage. 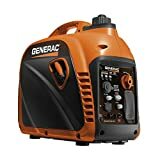 Or, if you have to work with power tools, it can also be more convenient to use a generator than having to find a nearby outlet (if there is one) and an extension cord that is long enough to where you have to work. They don't require any installation—when you need power, you pull the cord to get the thing started, and presto! You have power. Inverter: This takes power from a DC source (a car battery) and inverts it into AC power. Inverter-Generators: This is a generator that produces AC power, converts it to DC, and then back to AC. 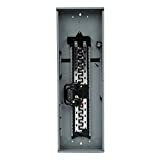 The advantage here is that it produces uniform, single-phase AC power. They are generally smaller, lighter (30-50 pounds), produce less power (only 4000 W) and quieter than generators. But they can't contain a lot of fuel, so they don't run for such a long time. They are more efficient in terms of fuel consumption than regular generators. Power rating: People noticed that if a portable generator is rated at 1600 W power, it will have trouble powering a device that requires something close to that—like a 1500 W heater. If your appliances take too much power, it will trip an overload and turn off the generator. A home generator will have more significant power needs: 6 kilowatts will be for minimal requirements, going up to 20, 48, or even 150 kilowatts. Checking the oil level: If you are dealing with a portable generator, you have to check the oil level frequently (before every use). You will need a funnel to supply oil and gas into the generator. Single vs. Three phase generator: A three-phase generator consists of three conductors. Each conductor reaches its highest voltage slightly later than the other—ahead by 1/3 of a phase. This produces a generator that gives a constant level of power. A single-phase generator will produce a single, continuously-alternating voltage. Noise level: The Inverter-Generators are known to work more quietly, but tend to be more expensive. Some are so quiet that people are not even aware that the generator is operating. The standard generator will operate at around 68 decibels, which is around the noise level of an electric razor. WEN-- was founded by Nick Anton in 1951. They are manufacturers of power tools, generators, and engines. They have expanded over the years from saws, soldering guns and polishing tools to drill presses, tool chests, and air compressors. Their headquarters is located in Elgin, Illinois. Kohler-- is a manufacturer of generators and engines, kitchen and bath plumbing fixtures, and furniture. They were founded by John Michael Kohler in 1873. They are presently located in Kohler, Wisconsin. 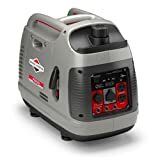 Briggs and Stratton-- is a company founded in Milwaukee, Wisconsin in 1908 by Stephen Foster Briggs and Harold M. Stratton. Presently their headquarters is in Wauwatosa, Wisconsin. They are the world's largest producers of gasoline engines for outdoor power equipment. They originally made automotive components and gasoline engines—but over the years they have developed a number of innovations in manufacturing engines, including hybrid engines that run on electricity and gasoline. 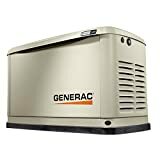 Generac-- was founded in 1959 as a manufacturer of home standby generators. 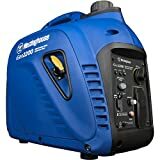 They now make portable generators as well for a number of recreational and emergency backup purposes.